Founded in 2006 by three ex BMW main dealer employees BNTec is designed to provide a personal , effective and affordable alternative to the dealer network or locally for example BMW’s “BMW Stratstone Hull” for the service and repair of BMW + MINIS and other German cars. We work to be different from the dealers and aim to avoid the overly complicated and un-flexible approach they adopt. 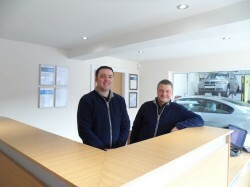 When you entrust your pride and joy to BNTec you will deal directly with one of the owners of the business, Paul Nicholson , Lee Davey and Kevin Appleyard who treat every car as if our own , we talk to customers about individual concerns and listen to their thoughts and opinions. We don’t want to be general garage turning a quick profit, our aim is to build long term relationships with our customers and their cars and strengthen our reputation as the genuine alternative to the main dealer in Hull and East Yorkshire. After all over 5000 customers can’t be wrong! We have a full ATL MOT testing station,our staff are registered ATA (link to ata) technicians and we all undergo training through the industry leading Auto diagnos (link to autodiagnos) system. We invest in the latest diagnostic equipment and offer the same level of diagnostic capability as the dealer , we can code, program, diagnose and carry out performance tunes to all BMW and MINI models. 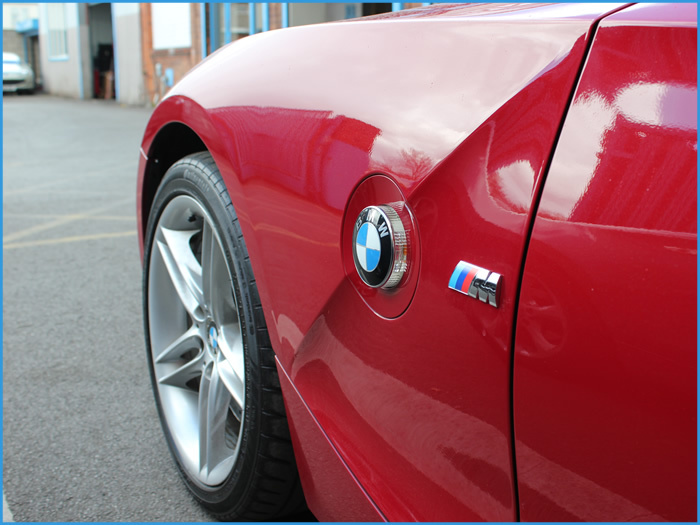 We have a full compliment of special tools designed specifically for BMW/MINI vehicles, this allows us to carry out complex repairs in the most professional and efficient manor. At BNTec we aim to be the first choice for BMW + MINI in Hull and East Yorkshire by providing outstanding customer care and service to all our customers on every occasion. We are committed to achieving this through customer focus. The key to our continued success lies in the close relationship we build with our customers in order that we respond to their needs and requirements providing effective solutions. We are committed to the people who work for us and focus on developing their individual skills through industry leading training and development programmes. We aim to motivate our staff members by rewarding them for helping us achieve our business goals. We are committed to providing modern functional facilities at our premisis. The site will meet the needs and standards our customers deserve and expect. We will continuously work to improve our working environment for our staff and our customers. We are committed to deliver quality in every aspect of our service delivery. As the region’s leading firm of chartered accountants we pride ourselves on never being late for an appointment so it’s vital our vehicles are as highly tuned as we are and serviced with the minimum disruption to our busy working schedules. On each of the above occasions your team picked our cars up, gave us courtesy cars and dropped the vehicles back off at a time and place to suit us (not you). Just a short note to say how impressed i have been on the two recent occasions that you have serviced my cars, both my BMW750i and my Landrover Discovery. You delivered my Disco back to the house today, and it looks like new. Not only had you done everything i asked, but the car looked immaculate inside and out. In today’s competitive environment, businesses need to differenciate themselves from the norm. There are quite a few local service dealerships which provide at best an average service, and more normally, a poor service. It’s good to deal with a service organisation who believes service applies to the customers as well as the car. I would have no hesitation whatsoever in recommending BT-Tec to others, and i shall be recommending you to others in my business. Many thanks for great service. I would like to express my sincere gratitude for the work you have recently undertaken on my wife’s car! I appreciate that it isn’t the easiest car to work on and in recent weeks seems to have developed a wicked sense of humour, but i just wanted to tell you how easy you make it to do business with you. I was able to swap over cars with you and arrange a convenient time to swap back after the work was completed with very little hassle to me and my business. Many people know how busy i am, and to provide this level of service to me was a great help and i have no hesitation in recommending your services to my friends, family, contacts and associates.